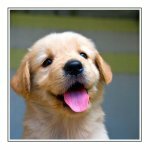 New Puppy Care - Are you prepared? New Puppy Care can be overwhelming if you’re not prepared, especially if this is your first pup or you haven’t had one in a while. Taking care of a puppy is a commitment and one of the greatest joys in life. I hope these tips on new puppy care will help you make the best choices to ensure a long and happy relationship with your new Coton de Tulear (or any other breed. Learning the proper care and training for a new puppy is critical to have a well behaved, happy, thriving dog who will fast become a beloved member of your family. Just like newborn babies, puppies cannot raise themselves; they need your love and guidance to understand how to become good dogs. Some people get dazzled by how cute a puppy is and don't take into account how much time it will take to care for the little pup. Shelters are full of dogs whose owners understimated how much time, attention, and money is required to be a responsible dog owner. Start socializing your new pup right away (after 8 weeks). Take your new dog to the veterinarian for a complete checkup and vaccination plan. Handle your new puppy gently. Introduce new puppies to other dogs and children slowly, carefully, and with supervision. Provide food especially made for puppies; it's formulated to help develop their growing bodies. Start house training as soon as you get your puppy home. It's never too early to start teaching good behavior. Don’t inadvertently encourage bad dog behavior. Jumping up on you and nibbling your fingers is funny when a small adorable puppy does it, but it will not be cute when your full grown dog exhibits these behaviors. Teach the correct behavior right from the start. It’s so much easier to learn something the right way from the beginning than trying to correct a habit already in place. Reward good behavior. Any time you see your dog do something good like coming when called, waiting at doorways, or sitting patiently while food is being prepared, make sure to let him know he’s doing a good job. Never discipline a puppy with hitting, yelling, or neglect. Make sure your new dog has identification in the event that he gets lost. It’s a good idea to identify your dog with an ID tag as well as a dog tattoo or microchip. What supplies will you need for your new dog? Looking for the perfect name for your new pup?